OK, we know it’s not summer everywhere, but we hope you’ll join us nonetheless! 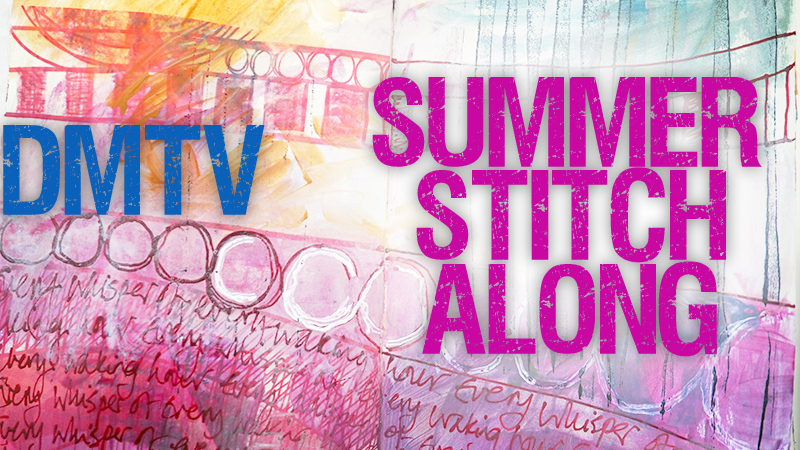 With summer in full swing here in the UK we hope that you’ll want to join in with our first Summer Stitch-Along. We love to have a small project to work on, something that uses up scraps and lets us experiment with ideas – we’ve designed this project for you to work along with us. Each week we’ll reveal a little more of the Stitch-Along to you, suggest ideas that you might try, demonstrate techniques and of course, show you how our own projects are coming along. All this over six weeks, with this introductory week being the first. Lets go! So, what are we going to make? We thought long and hard about what the project might be, we’ve got DMTV fans who love stitch, surface design, drawing, painting and print. How can we please you all? Well it’s impossible! We’ve decided to work together on making a bookwrap. It’s a doable project and the ideal format for trying new techniques, perfecting old favourites and at the end, you can have a beautiful jacket for your sketchbook, diary, or indeed, any book! Start by choosing the book you want to make the wrap for. 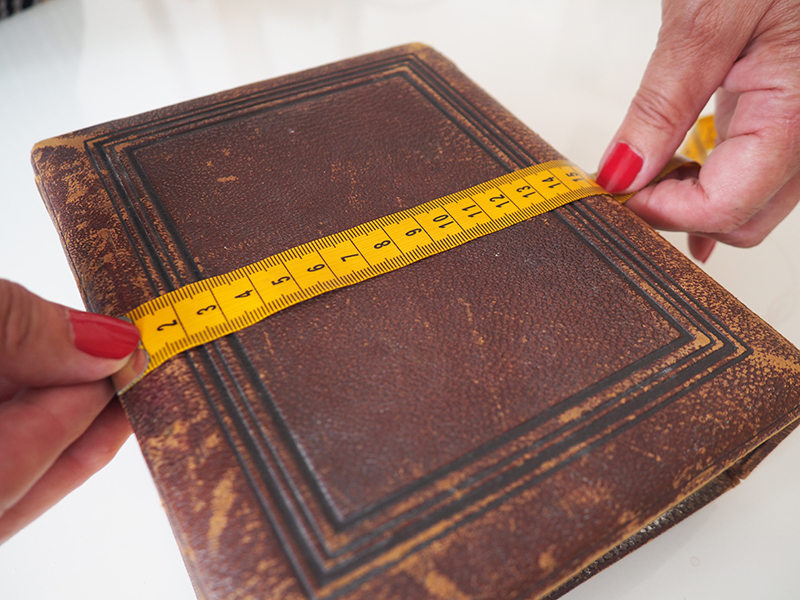 You’ll need to measure it to create a pattern piece. 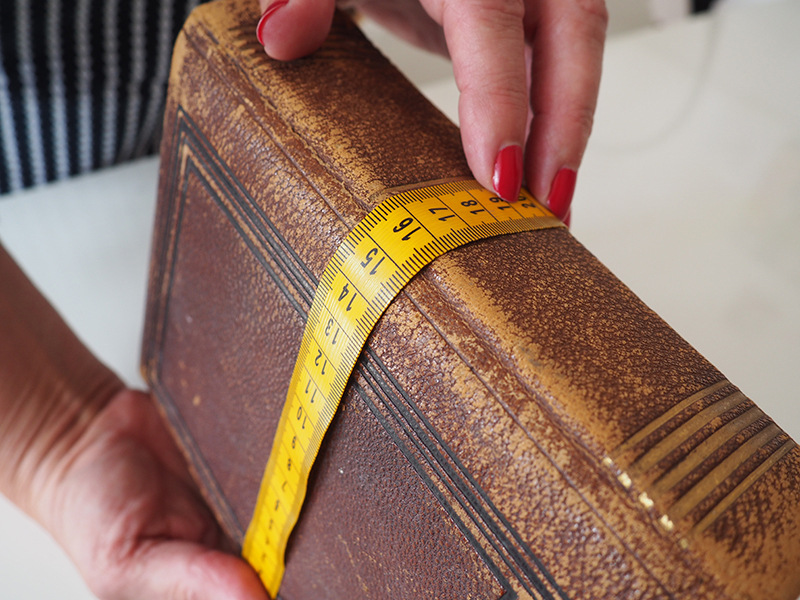 2″ + width + spine + width + 2” = ? 1/4″+ height + 1/4” = ? 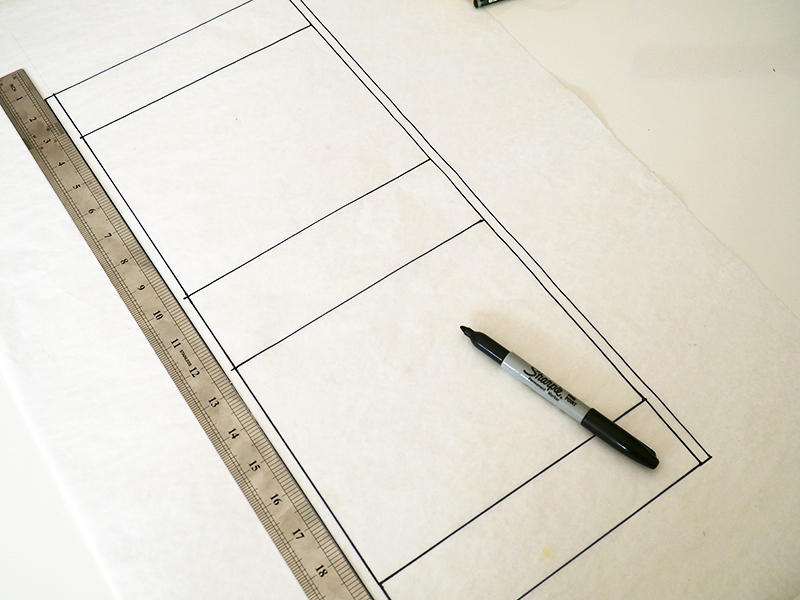 Using your measurements, draw out a pattern piece like ours if you want to, or just keep these measurements handy. And that’s it for Week 1! 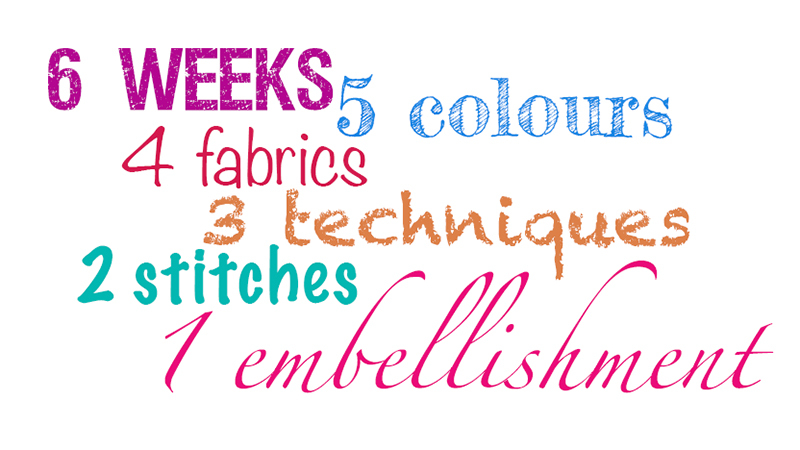 Check in next week when we’ll get going with choosing colour schemes and fabrics. See you then!